Two Missouri schools have fired clothing retailer Lands’ End as their uniform supplier following the company’s decision to feature an interview with feminist and abortion activist Gloria Steinem in its spring catalogue. College of the Ozarks and Father Tolton Regional Catholic High School ended their relationship with Lands’ End, and other Christian and conservative leaders criticized the company’s decision to feature Steinem. 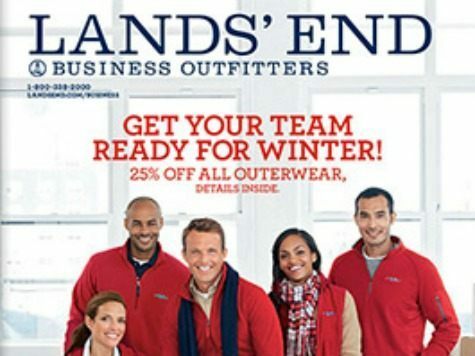 Subsequently, Lands’ End apologized and removed the interview, reports Dustin Siggins at The Stream. We thought it was a good idea and we heard from our customers that, for different reasons, it wasn’t. For that, we sincerely apologize. Our goal was to feature individuals with different interests and backgrounds that have made a difference for our new Legends Series, not to take any political or religious stance. The Wisconsin-based Lands’ End – led for the past year by CEO and former Dolce & Gabbana USA president Federica Marchionni – has been known for its casual clothing and school uniforms. The spring catalogue features adults and children dressed up formally for an apparent Easter celebration and engaged in an Easter egg hunt. Steinem was featured as a “Legend Series Honoree,” and Lands’ End offered to donate funds to support her feminist activism. Marchionni also asked Steinem about her active support for an Equal Rights Amendment. In your short tenure as CEO, it is clear to me that you do not know who your customer base is yet – but allow me to tell you about one who has spent more than $150,000 in your uniform division. School of the Ozarks is a K-12 laboratory school with nearly 300 students, located on the campus of College of the Ozarks. Ninety percent of our students demonstrate financial need, and because of that, the School provides full and partial scholarships for most families to buy uniforms from Lands’ End. While overseeing the development of this Christian classical preparatory school, I made the decision to use Lands’ End as our uniform provider because of its longtime reputation for delivering quality clothing. As Fortune reports, Lands’ End was purchased by Sears in 2002 for $1.9 billion, but was valued as a stand-alone company last summer at $779 million.